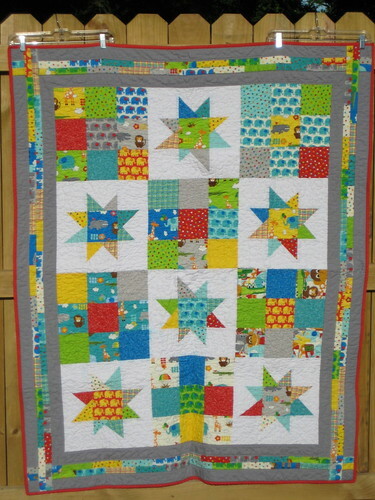 I've got another adorable baby quilt to share with y'all! 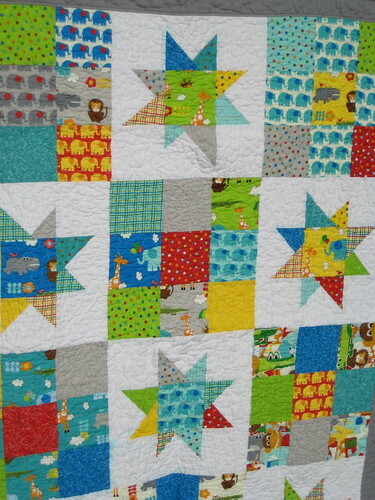 This quilt is going to live with a new baby boy due in May. Derek works with his mother and I previously made her a Tshirt quilt. The nursery is themed in both jungle and sports to appease everyone (but I picked jungle!). I finally use a pattern from a book (because I have a mini quilting library), Fresh Fabric Treats, using the pattern from the cover. One of my lovely bloggers, Rachel Griffith designed this pattern and then I combined it with a border design from a different pattern. 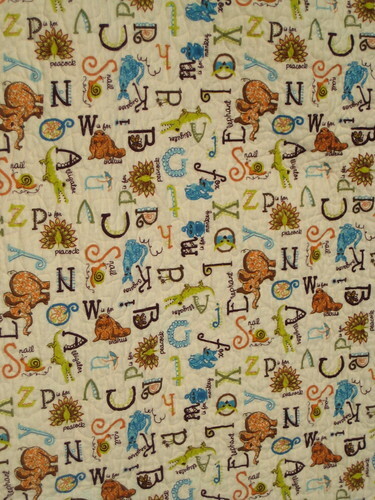 The fabric used is from a new line, Bungle Jungle by Tim & Beck for Moda. I managed to snag this fabric from some dark corner of the internet that had it for sale already. I just love these stars! 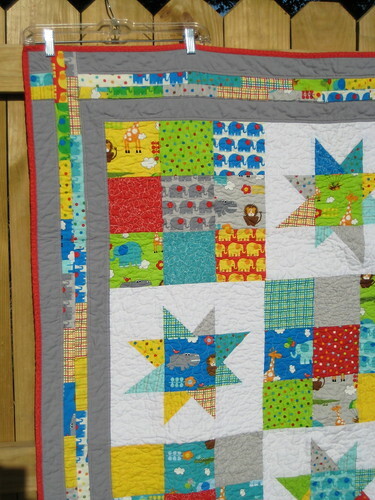 I backed the quilt with this flannel from Connecting Threads. It has letters and animals for the new baby to learn and play 'I Spy' with.